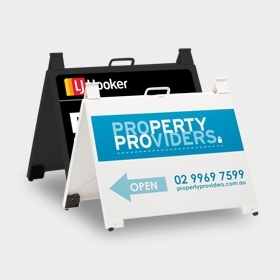 < 21 units - 24 Hours (1 working day) after artwork proof sign off. < 31 units - 2 working days after artwork proof sign off. 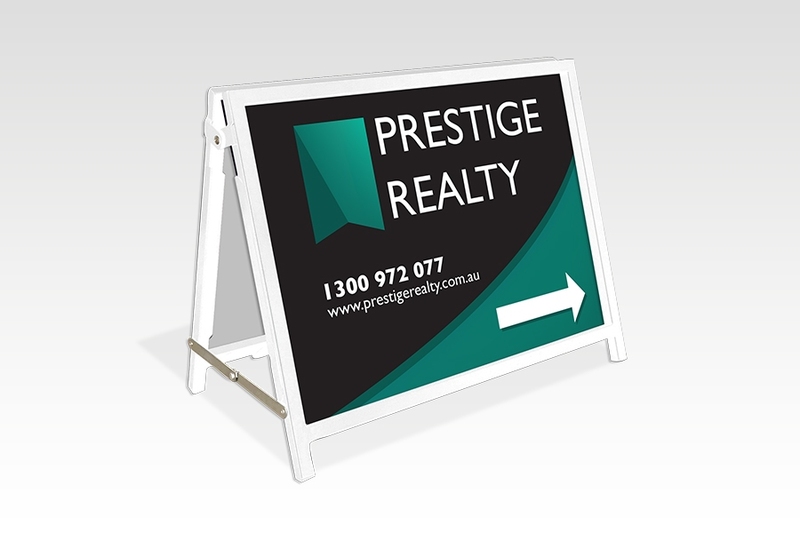 < 51 units - 3 working days after artwork proof sign off and receipt of deposit if over $3300 inc GST. 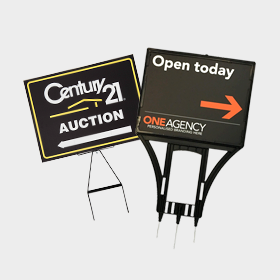 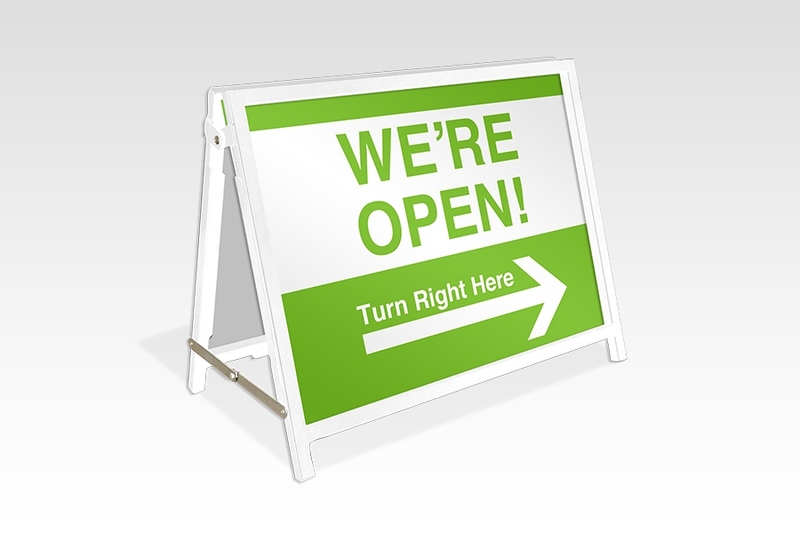 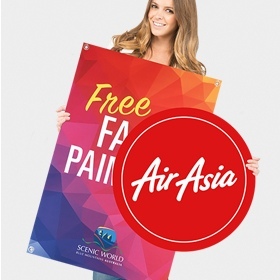 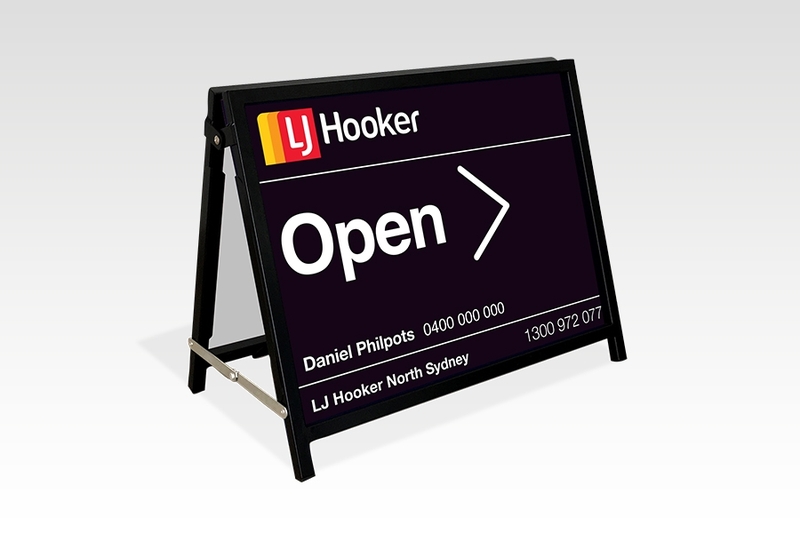 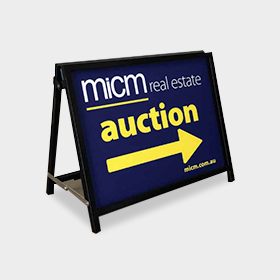 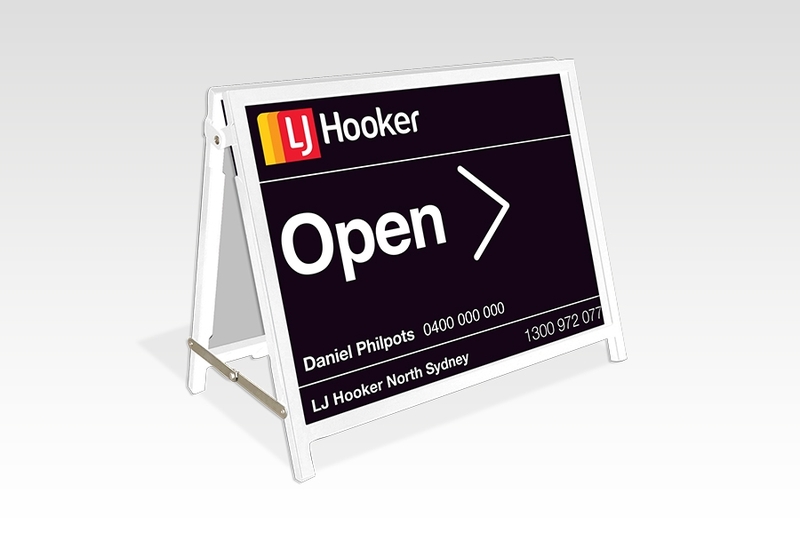 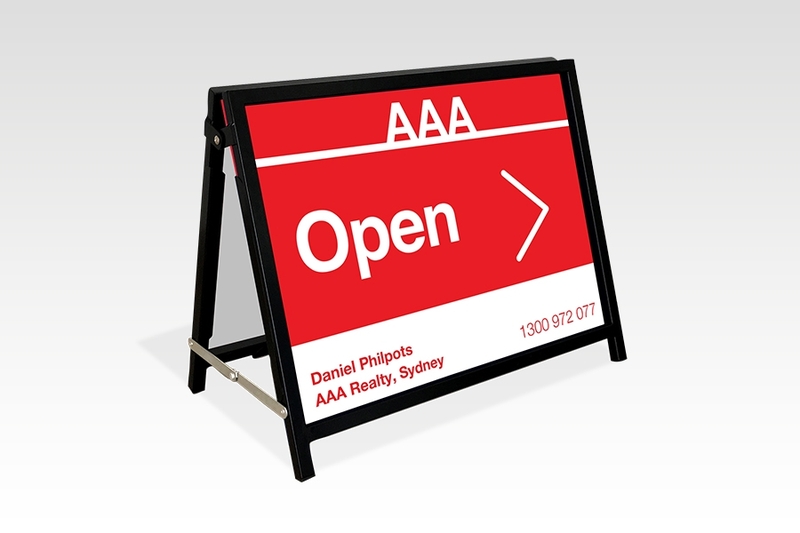 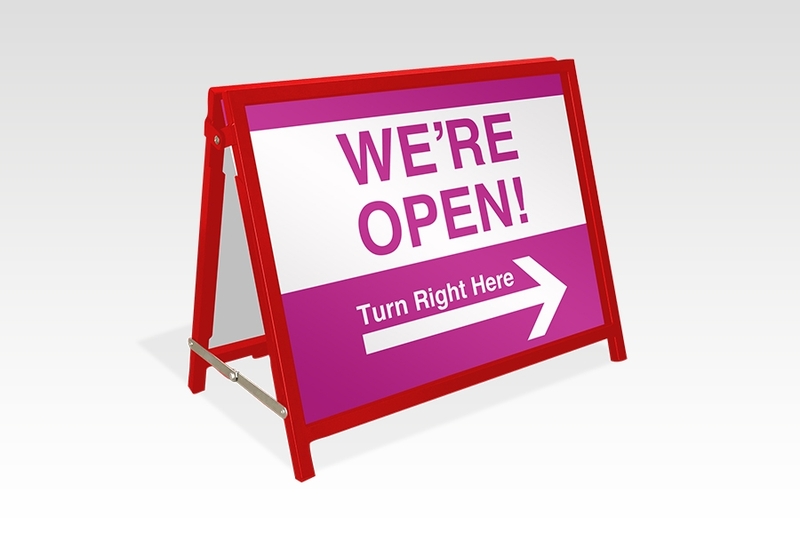 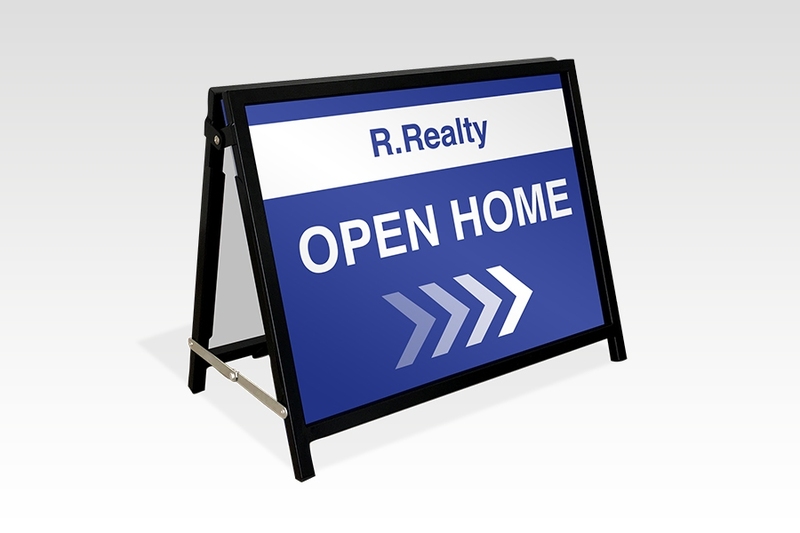 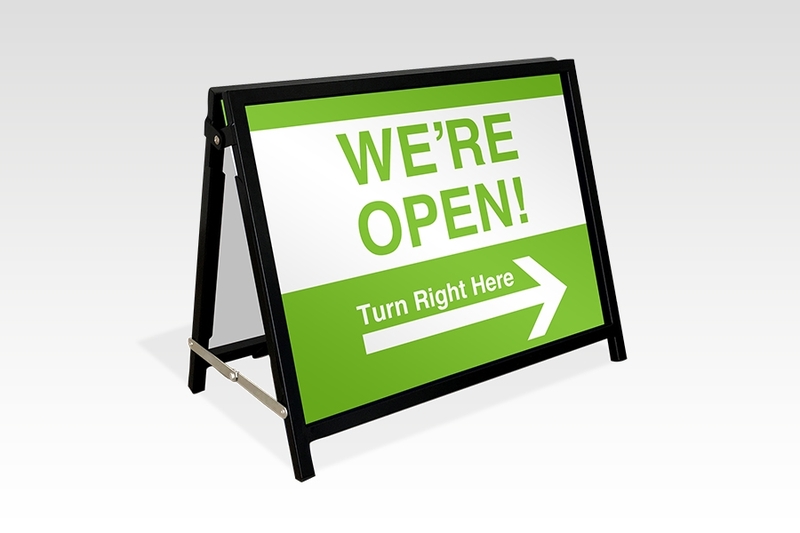 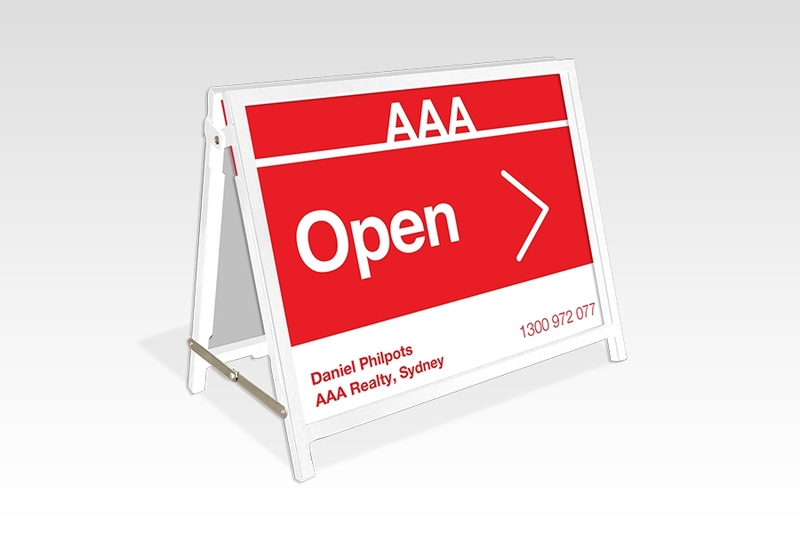 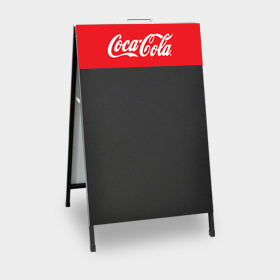 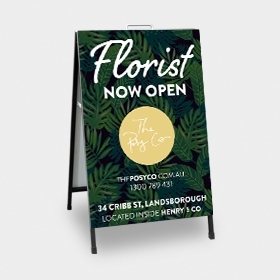 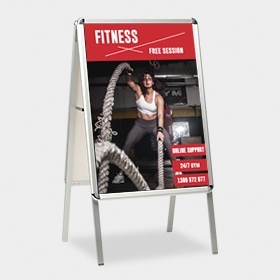 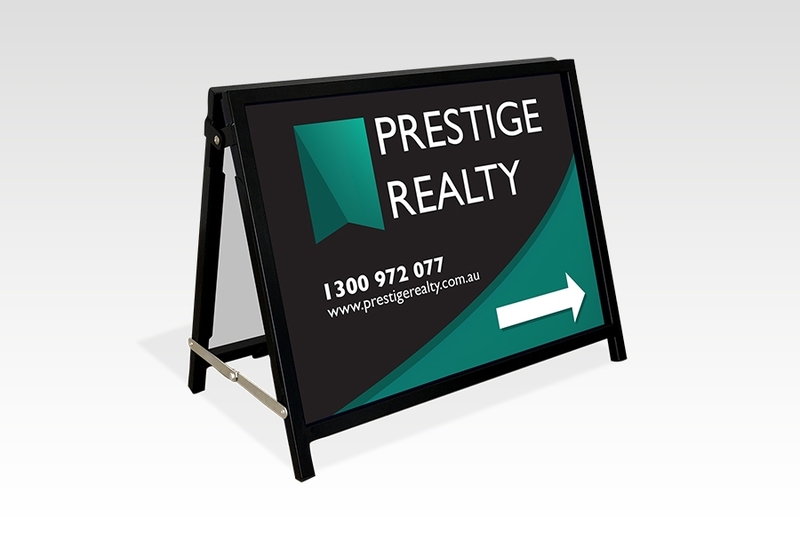 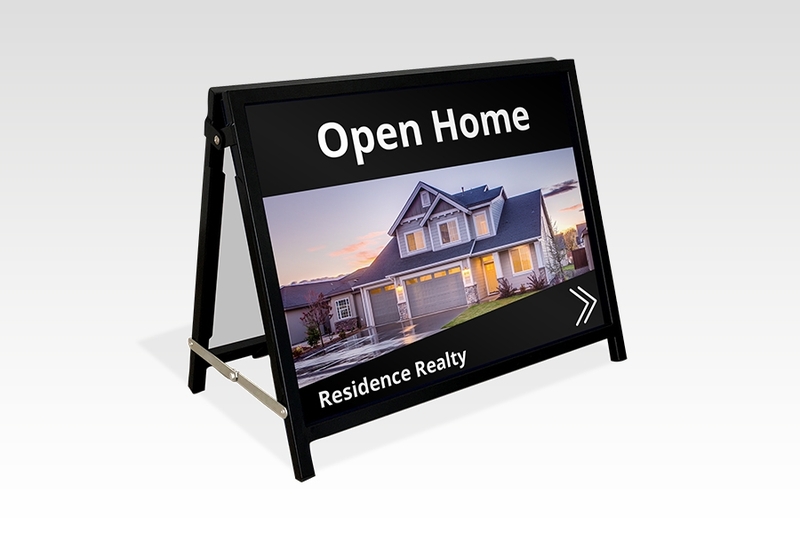 This Signflute™ Insertable A frame is a great alternative to the Endurosign A frame - and gives the real estate industry the flexibility to use the same frame with lots of different messages. 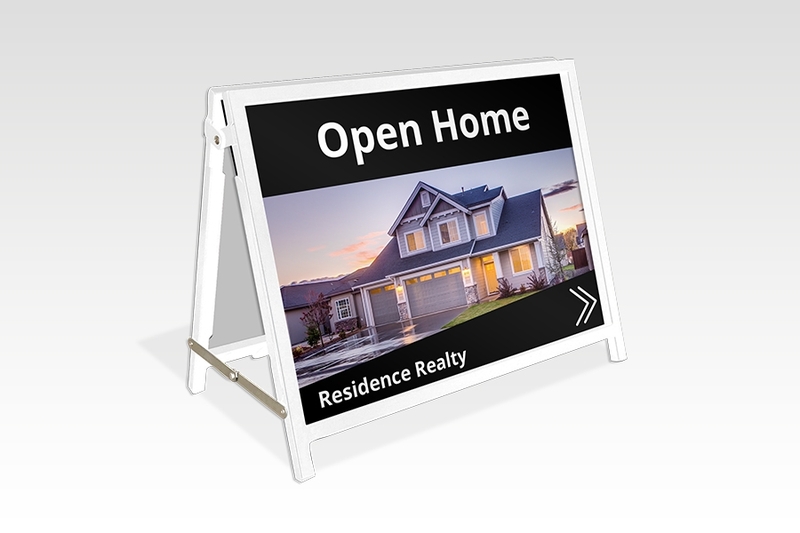 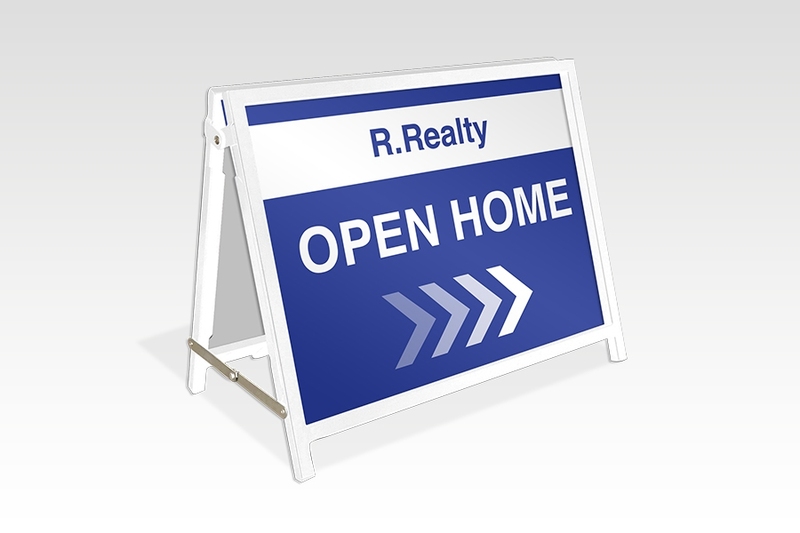 Perfect for attracting the attention of potential clients to Auctions, Open Houses, Inspections and any other sales event.